Permanent Secretary for Economy Makereta Konrote [left], and Australian High Commissioner to Fiji, John Feakes sign the agreement. Australia is providing approximately $4.17 million to Fiji to support the hosting of the 52nd Asian Development Bank meeting next month. 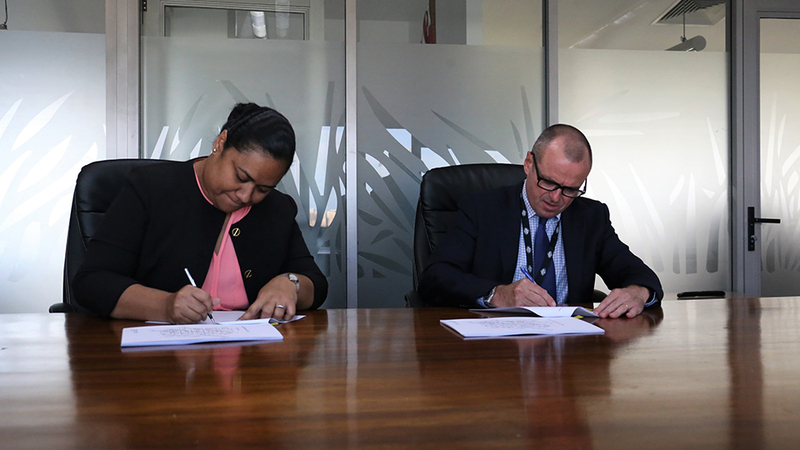 A direct funding agreement was signed between Permanent Secretary for Economy Makereta Konrote, and Australian High Commissioner to Fiji, John Feakes. 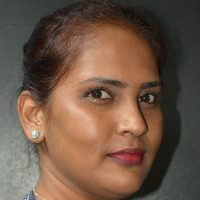 Konrote says the assistance is a timely boost to Fiji’s preparations for this important event. She says this support will ensure the logistical arrangements for the meeting is met at an international standard. The Australian High Commissioner to Fiji says the support will help the Government meet the demands of hosting such a large and prestigious international meeting. Fiji will be the first Pacific island country to host the Annual Meeting of the Board of Governors of the ADB. The meeting is a high profile one, attracting approximately 3,000 participants from 67 ADB member countries, non-member countries, international organizations, civil society organizations, international and local media, and the private sector.